ANNOUNCING THE BARTRAM ADVENTURE TOURS! 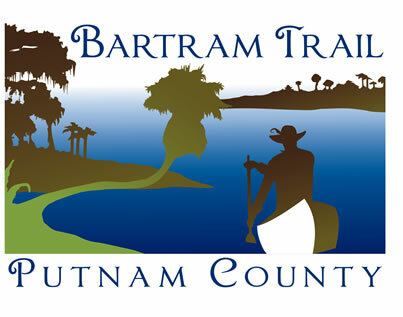 Watch this video to see what the Bartram Adventure Tours are like. For more information and to register for the next adventure tour, click here. The “Bartram in Putnam” initiative provides a complete brochure map and website of this newly designated National Recreation Trail, leading to the places the naturalist William Bartram visited in 1786 while exploring the area by boat on the St. Johns River and west on horseback to Paynes Prairie. This lovely turn of the century home has been completely refurbished with modern appliances and bay window breakfast nook in the kitchen. It is part of Palatka’s South Historic District, and an easy two block walk to downtown and to Riverfront Park. Amtrak rail service is 10 blocks away and also supports a regional bus system with daily trips to St. Augustine and Gainesville, home to the University of Florida. Crescent Beach on the Atlantic Ocean is a 25 minute drive, and three airports are within an hour and ½ drive. Ravine Gardens State Park is a pleasant neighborhood ten minute walk from the house. Several multiuse trails coming together and over the bridge have made Palatka a “hub” for cycling in N.E. Florida, extending many miles in all directions. The St. Johns River, literally a stones throw away, is the view from all three of the large verandas and east bedroom windows. Putnam Blueways and Trails is a growing and active citizens group offering guided hiking, bird watching, biking, and kayaking trips monthly. This lovely home has four (4) second story bedrooms; the master with private bath and balcony, a single room, and two others with shared bath and access to back balcony. A fifth bedroom, on the first floor, is off the kitchen with a full bath (walk in shower). The owner resides in the carriage house in the back of the property in a quaint efficiency apartment above the large two car (or bikes, kayaks, & garden equipment) garage. can be contacted to provide guided tours (by kayak, by bike, by foot, or by car) or evening programs for small groups. ​The innkeeper can be reached by calling the number below and leaving a message with your name, phone number, and the best time to call. You can also email questions to bartraminn@gmail.com.